by Ostdiek, Vern J., Bord, Donald J.
Ostdiek, Vern J., Bord, Donald J. 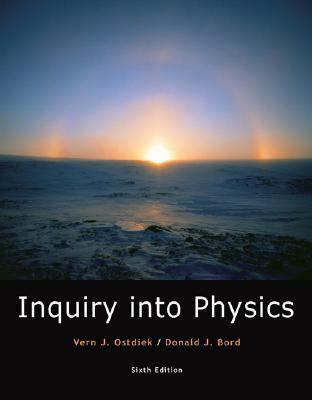 This text emphasizes conceptual understanding within a problem-solving framework, using modern applications such as iPods, metal detectors, sundogs, kaleidoscopes, and smoke detectors to demonstrate the relevance of physics in our daily lives.Ostdiek, Vern J. is the author of 'Inquiry into Physics ', published 2007 under ISBN 9780495119432 and ISBN 0495119431. Loading marketplace prices 14 copies from $15.28 How does the rental process work?